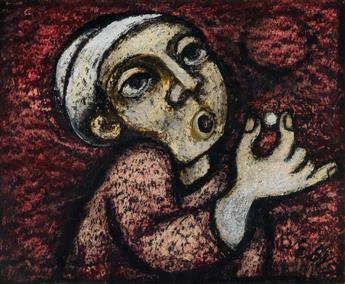 CHARLES SEBREE (1914 - 1985) Untitled (Boy with a Pearl). 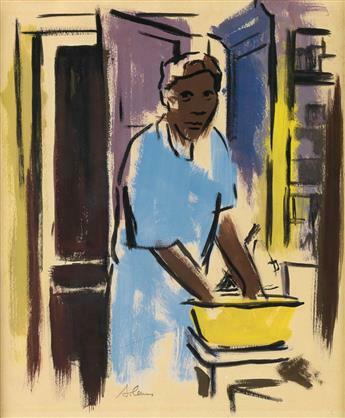 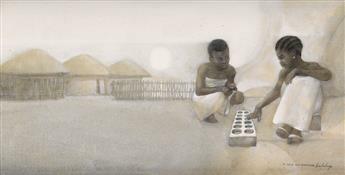 SAMELLA LEWIS (1924 - ) Washerwoman. 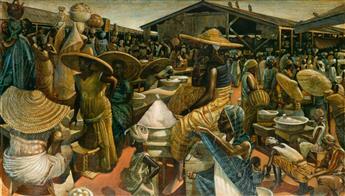 JOHN BIGGERS (1924 - 2001) Kumasi Market. 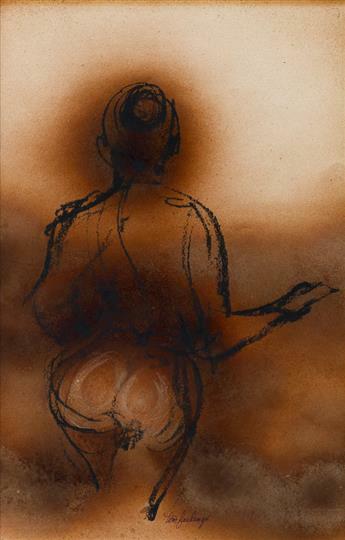 TOM FEELINGS (1933 - 2003) Mankala. 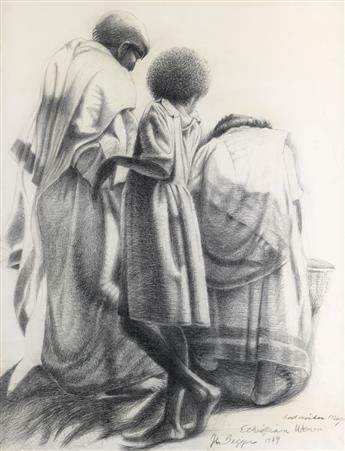 TOM FEELINGS (1933 - 2003) Two drawings. 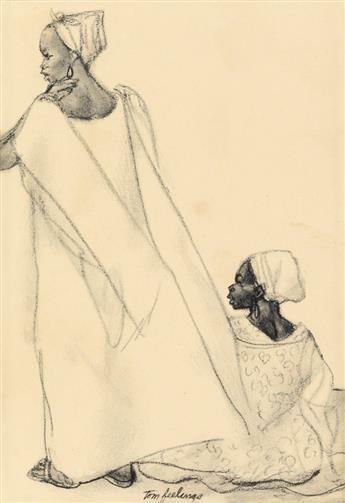 JOHN BIGGERS (1924 - 2001) Ethiopian Women. 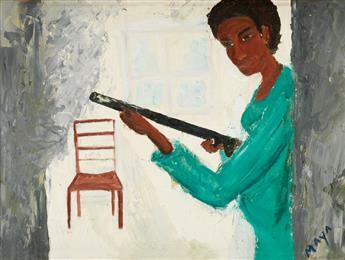 MAYA ANGELOU (1928 - 2014) The Protector of Home and Family. 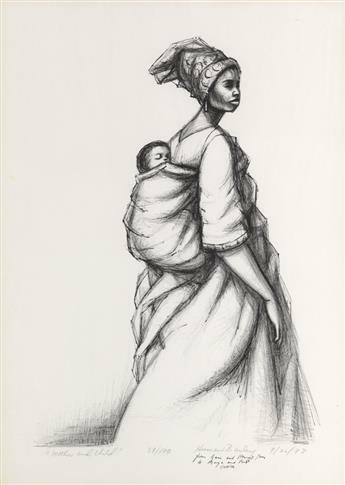 HERMAN KOFI BAILEY (1931 - 1981) Mother and Child. 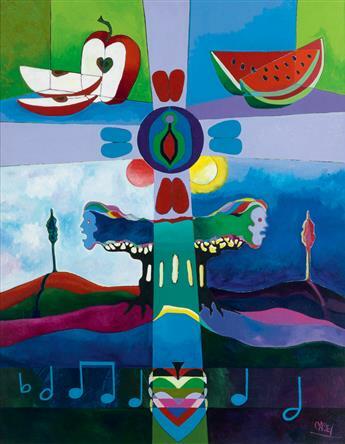 BERNARD CASEY (1939 - ) Music and Fruit (Songs in Eden).